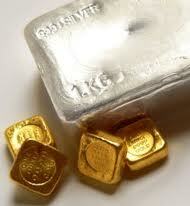 Bullion metals at the mcx is trading in a downtrend and both silver and gold is trading down. The gold is trading at the price levels of 29658 levels and is trading with a loss of 1.13% in the price levels. The silver prices are also in downtrend and trading at 51786 per 1 kg with a loss of 1.86%. Both the bullion metals gold and silver is advised to sell with strict stop losses. The trend of base metals is mixed while for energy it is trading in a downtrend.